to making decisions on which ones to buy. I am a visual person, I have to actually see it in the room to decide if I like it or not. 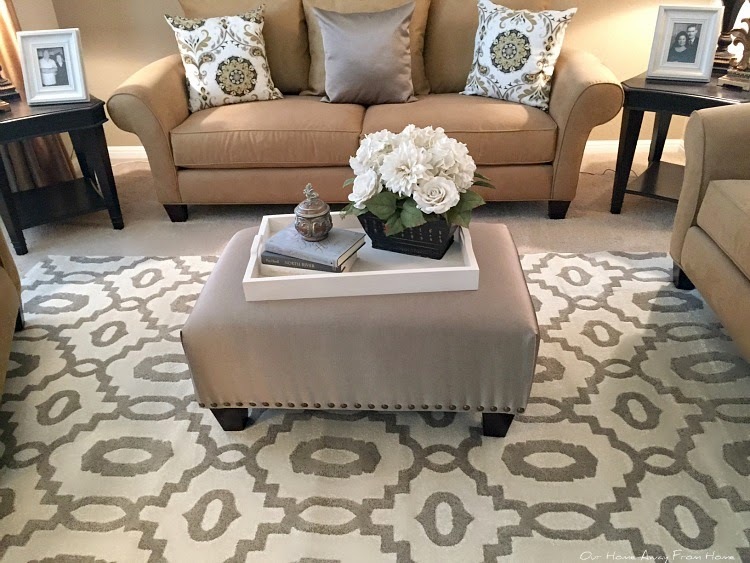 Plus rugs can be pricey and it is not something you can replace everyday, so I want to make the right choice. Until last week, when I finally decided it was time to take the plunge. we came home with these. We actually ordered the rug for the front entrance online after all. Hope it is nice! in our living room and dinning room. I like the way it has finished off the room. The rugs are wool and very soft and thick. 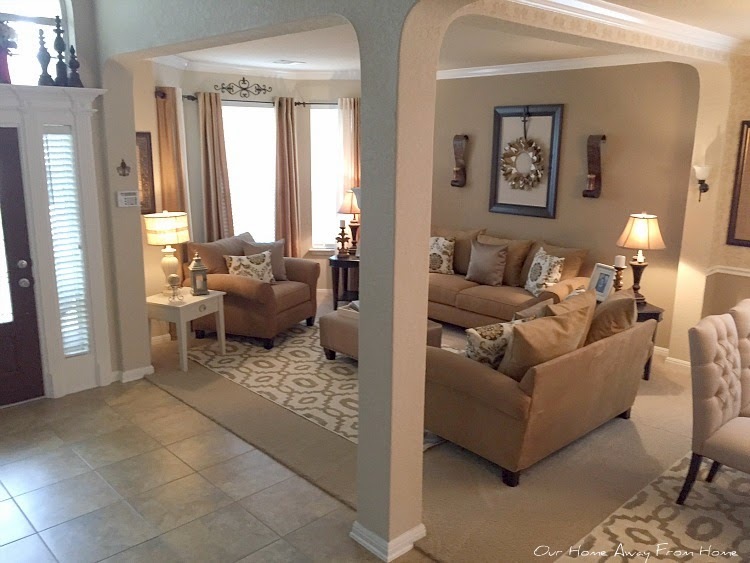 I love the neutral colors, in case, sometime in the future, I decide to change the color scheme in this room. We actually liked them so much, we went back and bought two runners for the two hallways downstairs. What do you think? Are they a keeper? that happens in our town, nine out of ten, we will loose the electric power. With that said, it may be the end of the week before I get to visit with you all again. 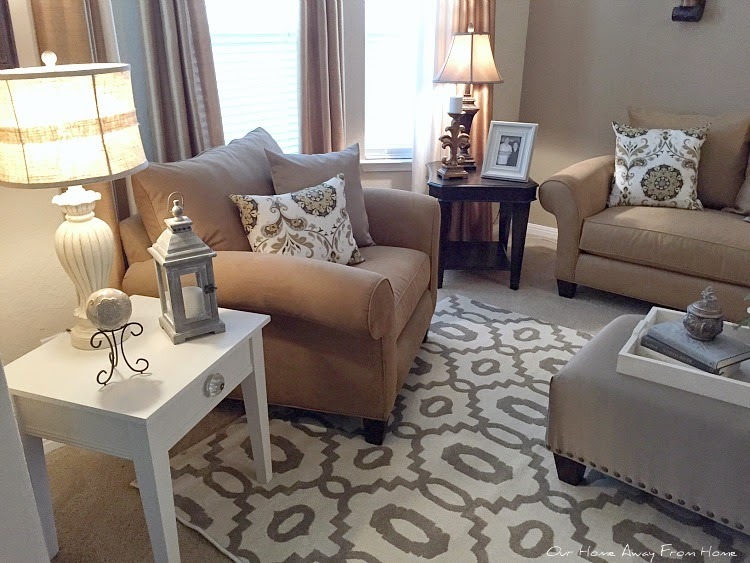 Love the rugs, such a pretty pattern and the colors are right on. Great choice. Well chosen! That's a great pattern- and it does tie things together! Kudos to hubby for his good eye! Your new rugs are perfect, Maria. 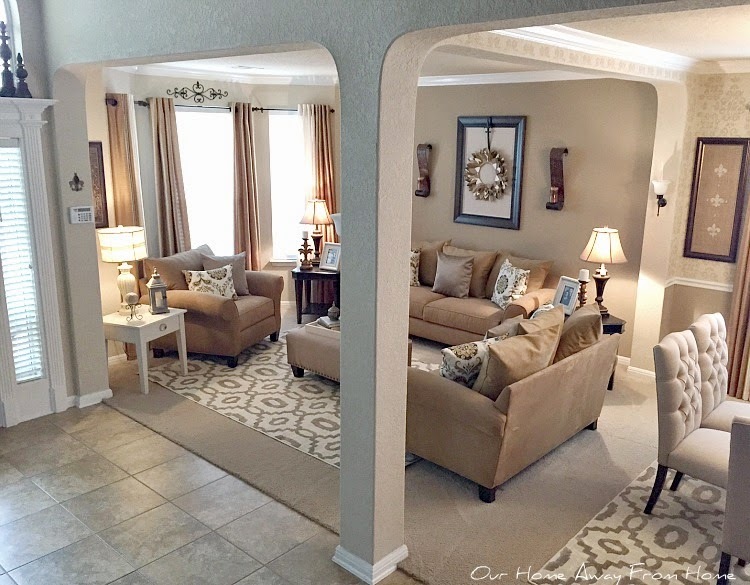 I love the way they anchor the rooms and give them a finished look. And you're right, they're neutral so you'll be able to use any colors you like with them. 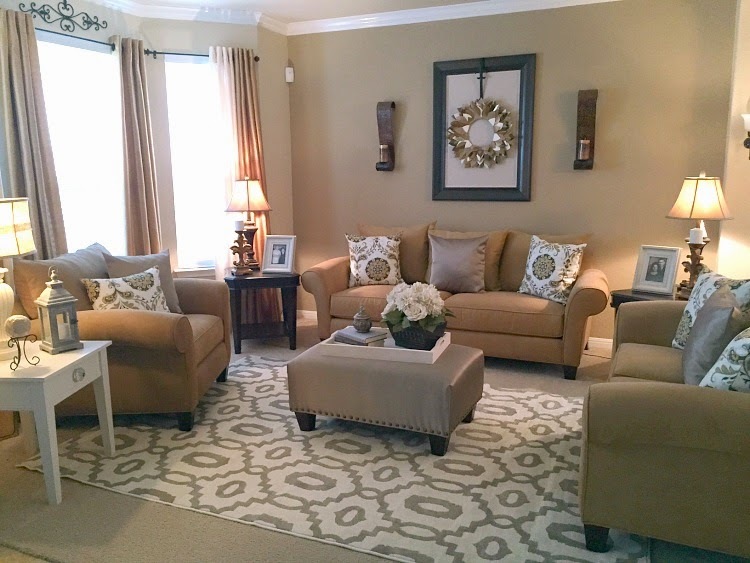 I love neutrals, and I have to say this room is a favorite. You and your husband have done a beautiful job decorating it. If I may make a suggestion though? 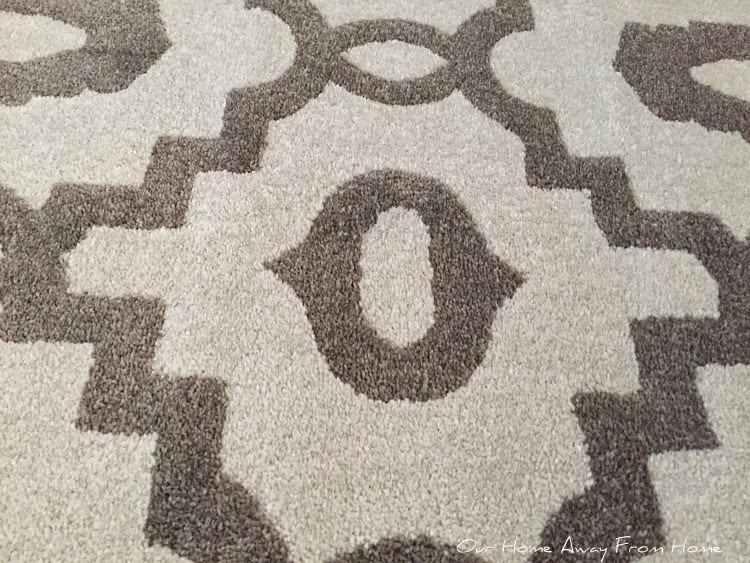 In your front room, try the rug on an angle, may surprise you how well it looks like that. You and I have the same colors in our homes, so I really like what you've picked out. 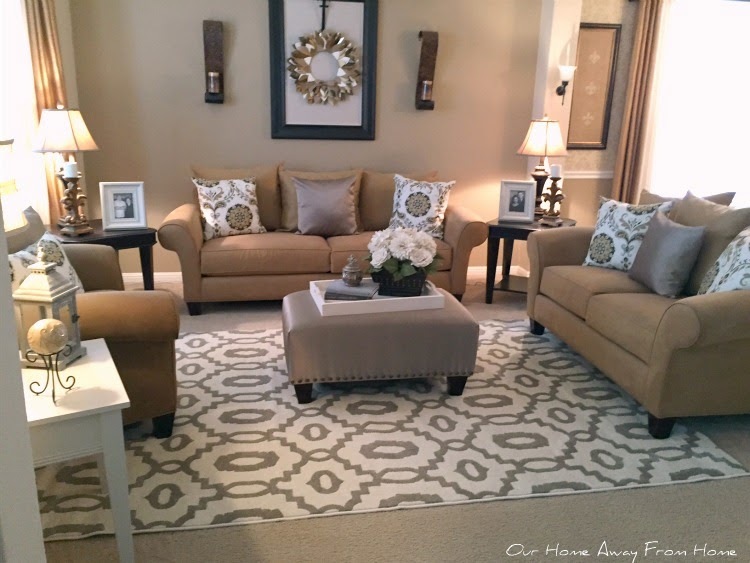 OMG....those rugs are perfect for your rooms....LOVE it! 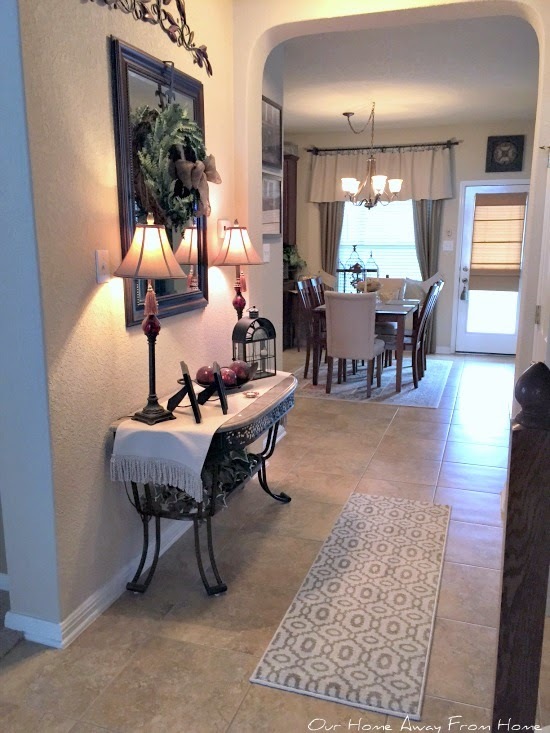 I just love the way this area rugs bring so much character to your space maria Elena , well chosen!! Thank you, Ramon! I was so worried the pattern was going to make the room look busy. Hi Maria! Oh, what pretty rugs and they really sing in your gorgeous home. Just beautiful!! 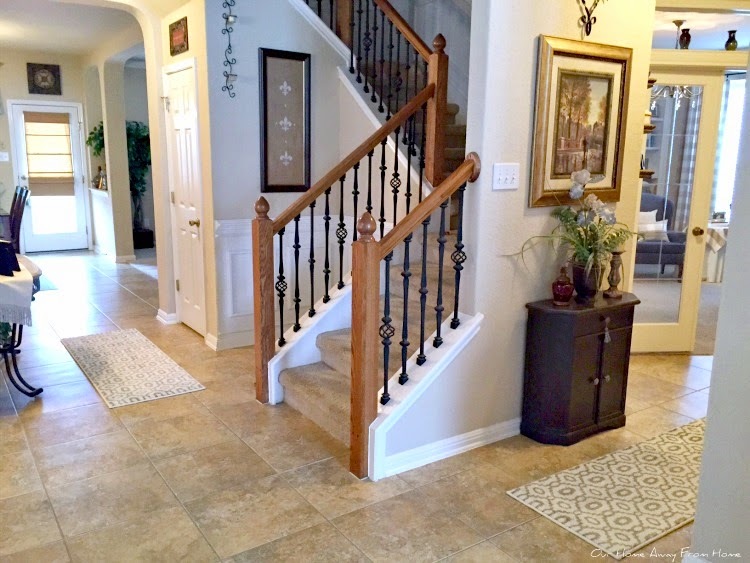 I also love your staircase bannisters!! Thanks so much for stopping by!! I will have to check out the shows you mentioned. I think you will enjoy Mr. Selfridge!! They're definitely a keeper! Your hubby really does have a good eye! 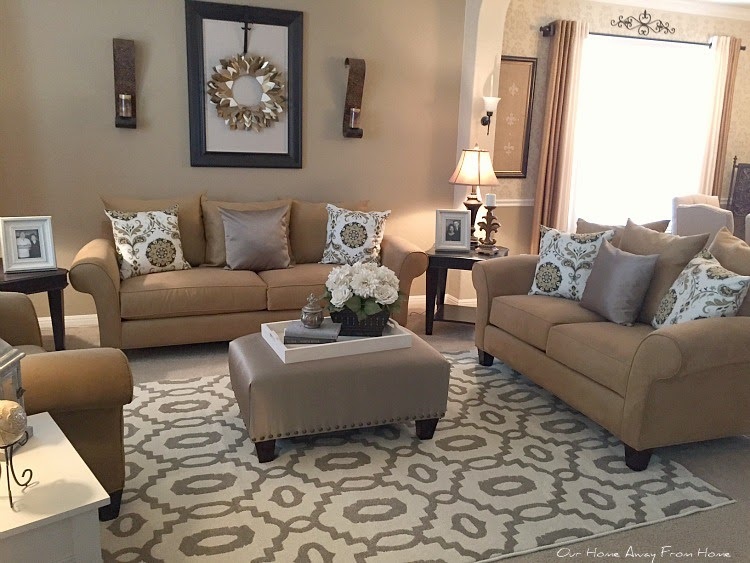 The rugs are beautiful and you can't go wrong with neutral colors. Very pretty! I need to find an area rug for our living room, but like you, I need to see it in place. I love your new rugs. YES, they are definitely keepers! 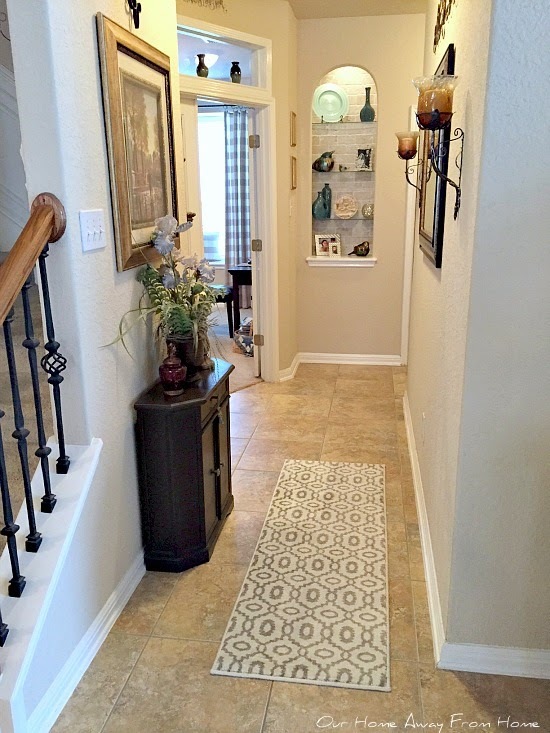 They look beautiful layered over your carpet and in your hallways! Your husband and you are a great team! Yes, I think they are great! Looks beautiful. Your husband gets an A+ handy and a great eye!